The KUHS 97.9 FM low power radio station studio, located inside SQZBX Brewery & Pizza Joint in Hot Springs. Generations of Arkansans have made pilgrimages to Hot Springs to bet on the ponies in the late winter and early spring, and to enjoy the trio of lakes during the summer months. One of the unfortunate realities faced by those who enjoy flavorful beer was the absence of just that — flavorful beer. Although pints of Bud, Miller, and Coors drawn from the taps of Oaklawn Park and local bars and restaurants served their purpose, diversity of beer styles was sorely lacking across most of Spa City. Fortunately, things have changed dramatically in the fabled land of visiting gangsters and spring training baseball. The last several years have seen an influx of craft beer bars, breweries, and restaurants that cater to more discerning palates. I made a trip to Hot Springs this past weekend, and although the weather was not ideal (and downright monsoon-like at times), I was able to check out some of the most striking examples of the town’s newfound zeal for craft beer. The city’s first brewery is housed inside an old bathhouse on the city’s main drag that was built in 1916. Rose Schweikhart opened the renovated space in July 2013 and started brewing onsite about 18 months later. Ancient tile and piping still adorn the interior, and the whole structure harkens back to the heyday of Hot Springs. Superior is believed to be the first brewery to operate inside a United States National Park. Schweikhart uses hot water piped in from a mountain spring in the brewing process. It’s a unique setup that has garnered attention from far and wide, as evidenced by the crowds of visitors that gather at Superior on any given day. The views from the taproom are spectacular, with plenty of seats lining the windows that look onto Central Avenue. People watching while perched atop a bar stool with a glass of DeSoto’s Folly Golden Stout or Hitchcock Spring Kolsch is a fine way to spend an afternoon. Superior does serve food, but one of my favorite places to grab a burger in Hot Springs — The Ohio Club — is right across the street. Bubba Brew’s Brewing Co. opened in December 2014 about twenty miles west of Hot Springs in the whistle-stop community of Bonnerdale. The brewery was the brainchild of local attorney Jonathan Martin, who currently serves as the president of the Arkansas Brewers Guild. Some of the most popular beers from Bubba Brew’s include Ten Point Bock, Scooter Trash IPA, Sandbar Pilsner, and Great White American Witbier. The brewery is tucked inside a sports bar and grill in what some may call the middle of nowhere, but Martin recently opened a downtown Hot Springs location dubbed Bubba Brew’s Taproom that is more readily accessible. The former branch of Bank of America—which was designed by noted architect and Fayetteville native Edward Durrell Stone—has been superbly renovated and is accentuated by dark wood finishes and leather-wrapped furniture. It was rainy the day of my visit, but the patio facing Central Avenue provided hopeful anticipation for warm, sunny days ahead. 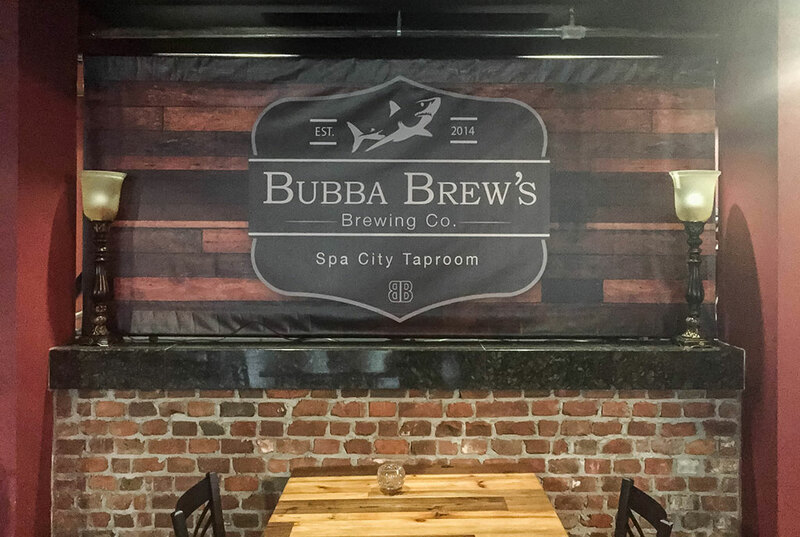 In addition to the Bonnerdale sports pub and downtown taproom, you can find a Bubba Brew’s Sports Pub & Grill on Lake Hamilton with waterfront access. The newest brewery in Hot Springs is also a pizza restaurant and low power radio station. James Spencer from Basic Brewing Radio recently posted an interview with SQZBX co-owner Zac Smith, who is apparently a fan of the old German purity law known as the Reinheitsgebot (which restricts beer to just four ingredients—water, barley, hops, and yeast). He joked with Spencer that the absence of adjuncts in the beer might help stave off morning-after hangovers. The building itself was once a piano repair shop and the theme is incorporated into the restaurant and taproom. While Central Avenue has experienced a bit of a resurgence lately, this particular stretch of road just off the main drag has yet to see much revitalization. It’s exciting to finally see some activity among the shuttered windows and empty sidewalks. During my visit I found four middle of the road offerings on tap—Mile Marker #1 (an American pale ale), The Wonder Wheat Beer, Metric Chestnut (an English ale), and The Baltic Sun (a golden ale). The tiny brew house is stuffed into a compact space just behind the bar and did not look as though more than one person could stand inside at once. 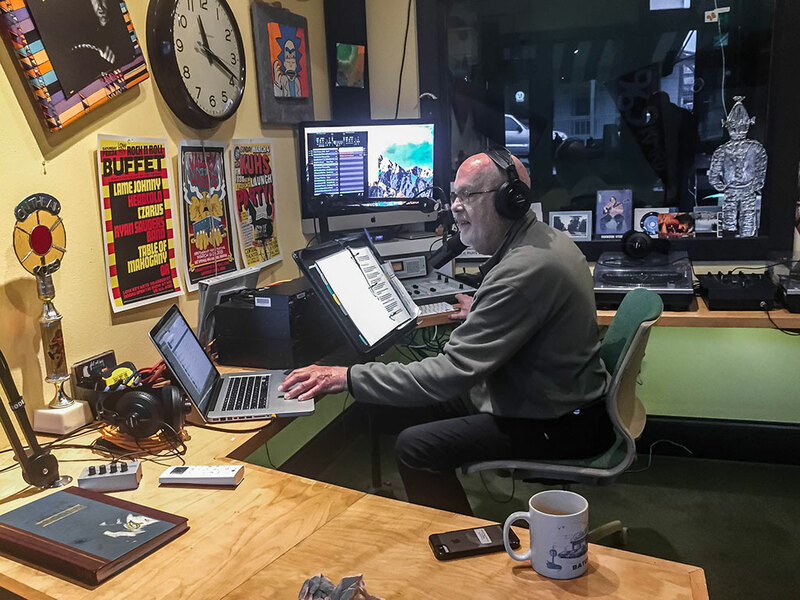 The radio station operates down a long interior hallway and is staffed with volunteers who play an eclectic mix of music. SQZBX is a multifaceted place, and definitely one of the most unique brewing operations in the state. 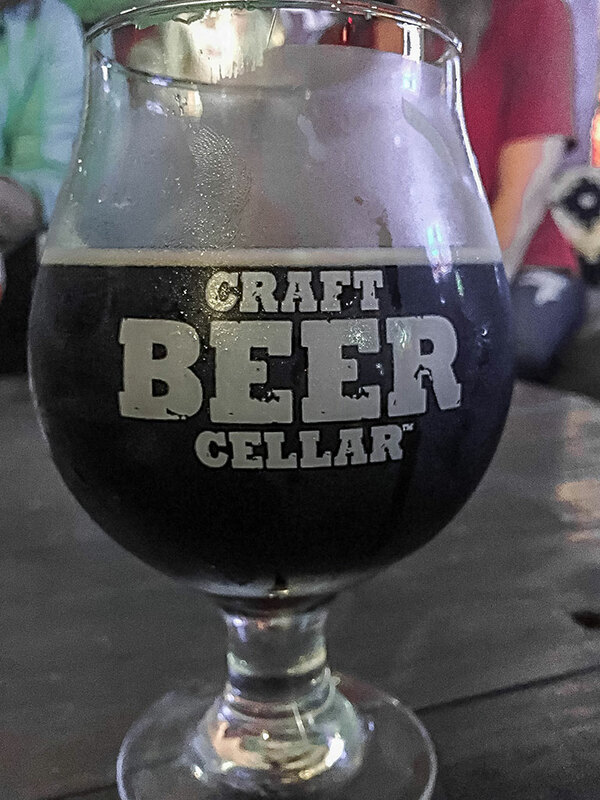 Craft Beer Cellar (120 Ouachita Ave.) is a bottle shop, beer bar, and lounge that offers a wide variety of local, regional, and national beers. It’s a comfortable place to grab a beer with friends and watch a game on television, or to sit quietly alone and read a book. I dropped in for a couple of pints and the mayor and his wife were enjoying beers together in the front window. I’m told he is a regular visitor and really appreciates the business Craft Beer Cellar is bringing downtown. I didn’t get a chance to visit while in town, but Core Brewing Co. recently launched another one of its public houses at 833 Central Ave. According to locals, it has been extremely popular since its doors opened. I really wanted to drop in for pint of Yossarian — Core’s New England IPA — but just flat ran out of time.